Cynthia Cress, associate professor of special education and communication disorders, uses bubbles to teach students how to communicate with children in a language disorders in special populations course. Dear Old Nebraska U is standing alongside Google, Trader Joe’s, Harvard and NASA as one of the best employers in the United States. In the most recent Forbes ranking of America’s Best Large Employers, the University of Nebraska–Lincoln is listed at No. 115. Nebraska is one of three Big Ten institutions to be included and is 11th among universities. The University of Nebraska–Lincoln is committed to offering a bold, transformative and supportive work environment that encourages employees to pursue professional development while providing necessary assistance to students. Some of the most popular campus programs available to employees include: Employee Assistance Program; employee and dependent scholarship program; University Child Care; wellness programs and activities through Campus Recreation; leaves enabling flexible work-life balance; and organization development assistance. The University of Nebraska system is also self-insured, providing a strong array of medical benefits to employees. Health premiums for those medical benefits have increased just twice since 2009. Health and dental premiums will not increase in 2019. The university is one of five Nebraska-based employers in the Forbes ranking of large employers (those with more than 5,000 employees). Omaha’s HDR is No. 24, while Kiewit (285), Crete Carrier Corporation (293) and Union Pacific (382) are also featured. Other Big Ten universities on the Forbes List are Michigan State University at No. 28 and the University of Minnesota at No. 135. 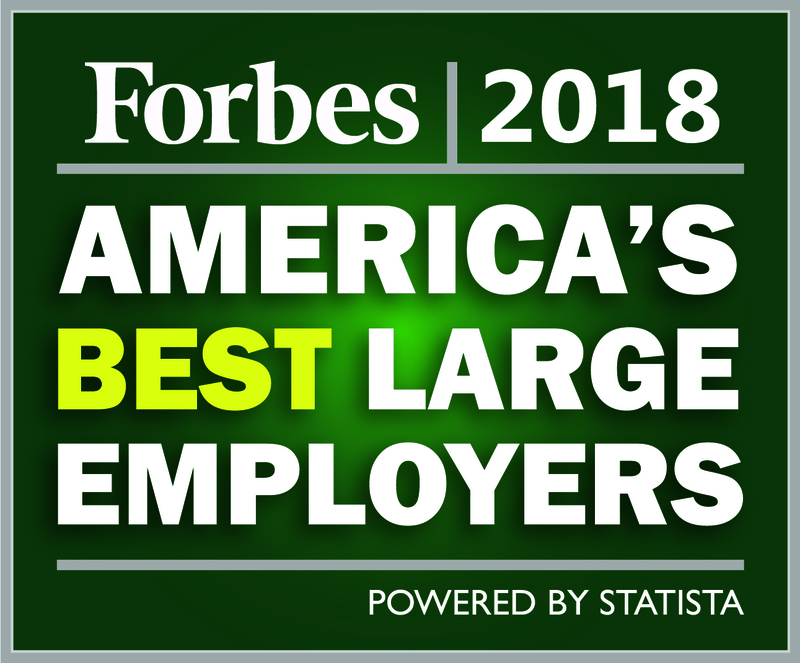 The America’s Best Employers ranking is based on an independent survey from a sample of more than 30,000 employees working for U.S. companies that have at least 1,000 workers. Respondents are consulted anonymously through several online panels, allowing employees to state opinions without being influenced by an employer. The surveys included 35 questions about work-related topics, direct recommendations (willingness to recommend their employer to family and friends), and indirect recommendations (evaluations of employers within respective industry). Overall, 25 industries are represented in Forbes’ best employers ranking.